You guys know I’m a huge fan of Richelle’s by now, so I was really excited when Penguin Canada approached me to be part of the Canada Blog Tour! With Richelle awaiting her first baby, it wasn’t possible for her to do interviews, but you’ll still be able to find some nifty content here! 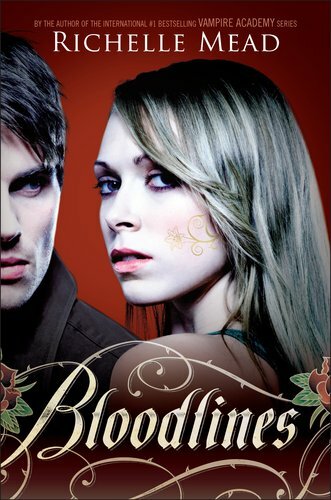 Bloodlines if the first book in the new Vampire Academy spin-off series and features Sydney, a human alchemist, as the main character! Vampire Academy fans will be happy to know that Adrian, Jill & Eddy are also very important in the first novel and Rose, Abe & Dimitri will also make an appearance! Sydney’s blood is special. That’s because she’s an alchemist—one of a group of humans who dabble in magic and serve to bridge the worlds of human and vampires. They protect vampire secrets—and human lives. But the last encounter Sydney had with vampires got her in deep trouble with the other alchemists. And now with her allegiances in question, her future is on the line. When Sydney is torn from her bed in the middle of the night, at first she thinks she’s still being punished for her complicated alliance with dhampir RoseHathaway. But what unfolds is far worse. Jill Dragomir—the sister of Moroi Queen Lissa Dragomir—is in mortal danger, and the Moroi must send her into hiding. To avoid a civil war, Sydney is called upon to act as Jill’s guardian and protector, posing as her roommate in the unlikeliest of places—a human boarding school in Palm Springs, California. The last thing Sydney wants is to be accused of sympathizing with vampires. And now she has to live with one. The Moroi court believe Jill and Sydney will be safe at Amberwood Prep, but threats, distractions, and forbidden romance lurk both outside—and within—the school grounds. Now that they’re in hiding, the drama is only just beginning. You can also read the entire first chapter of the book HERE. In all honestly, I prefer the original beginning, so make sure you READ IT. You can view ‘em all here. And last but not least, don’t forget to read my Review! Im having a giveaway at the moment if you want to stop by and enter!